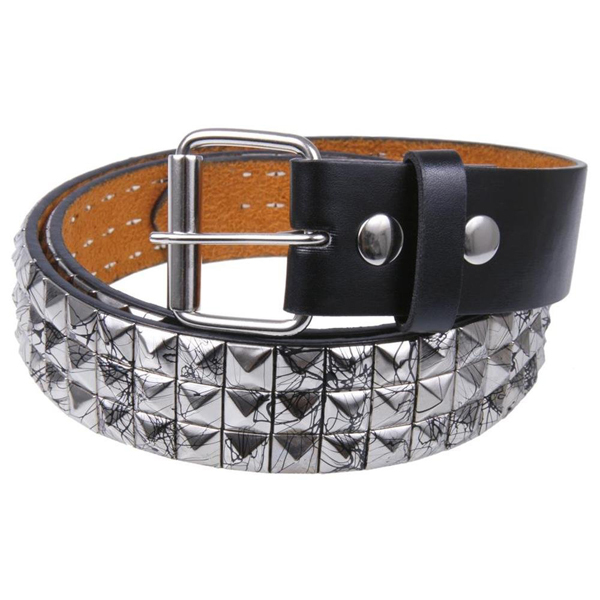 The studded leather belt has been always popular among certain subcultures such as the punk subculture. However, there are other groups that like to wear this fashion item, such as the skaters, goths and even people who prefer adding a few urban elements to their look. 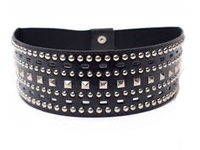 The studded belt is usually made with leather and has small metal studs on one side or on its entire length. You can find a studded belt in most stores around including Hot Topic and thrift shops in the world. There are many varieties to the classical studded belt and most stores offer different types for any taste. You can find colorful studded belts and even studded belts with various patterns so you won’t have to always opt for the same studded belt. Make sure that you get at least two types of studded belts because they can be pretty addictive if you start wearing them on a daily basis. If you are in a certain scene you can wear studded belts with your outfit. They can even be worn with dresses or skirts for that punk-ish or goth look that you might want to obtain. For an interesting look you can also get a pair of tight trousers and some boots; that and a ripped T-shirt is the way to go when trying to obtain that classic punk look. Since the studded belt is a symbol of the extreme cultures like skateboarding, surfing, snowboarding and so on, you can also use it to make a fashion statement. The studded belt also works amazing with a pair of checkered pants. Add a hoodie or a T-shirt and you have a great urban look that also is very comfortable. You can accessorize it with your casual jewelry, even the most unconventional pieces you might have around. You may wonder why is it important that this type of studded belt is making a comeback. It is important because the studded belt is a huge staple of urban culture and urban fashion but also a way of expression for subcultures that might not have the same exposure as mainstream ones do.